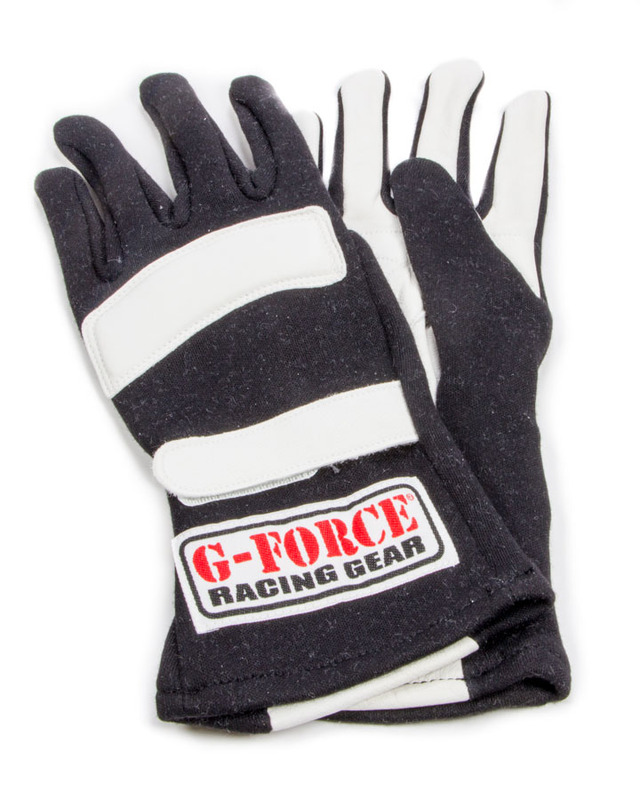 The G-Force G5 driving gloves are manufactured with premium quality Nomex and premium leather. The SFI 3.3/5 Approved G5 gloves feature a reinforced leather palm, leather reinforced knuckle pad and adjustable Velcro wrist closure. The G5 Racegrip gloves are lined with a flame-retardent fabric that wicks moisture away from your hands while still maintaining the lightweight and unique Racegrip feel.